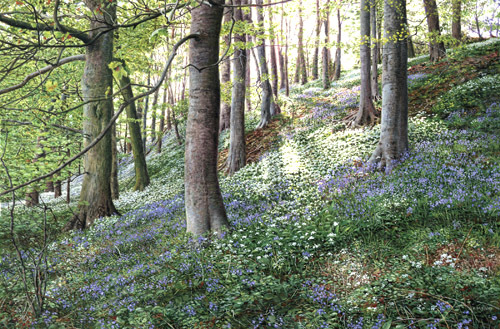 This narrow wood by the River Ribble near Langcliffe is typical of many bluebell woods in the Yorkshire Dales and for that matter in England. 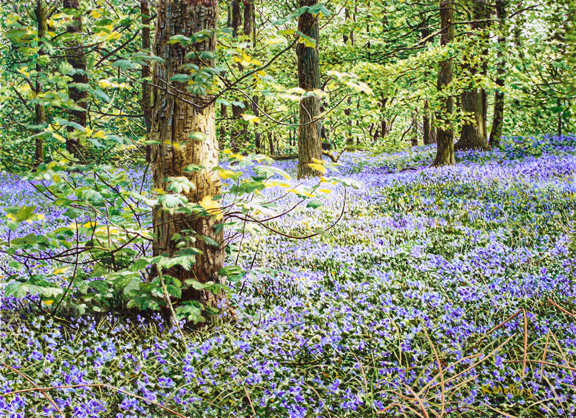 Ramsons (wild garlic) grow quite happily among bluebells. 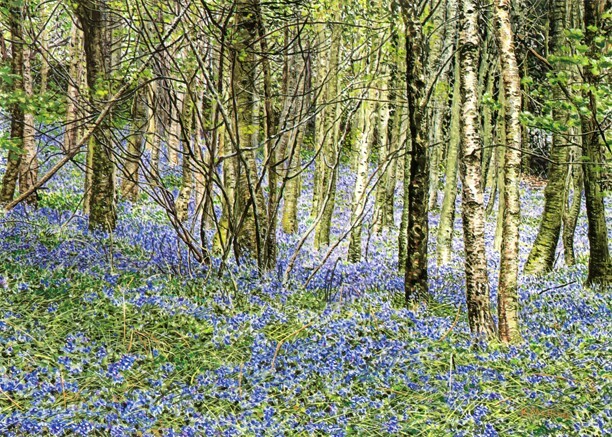 In springtime the old woodlands of Lakeland are carpeted with a purple mist of bluebells. 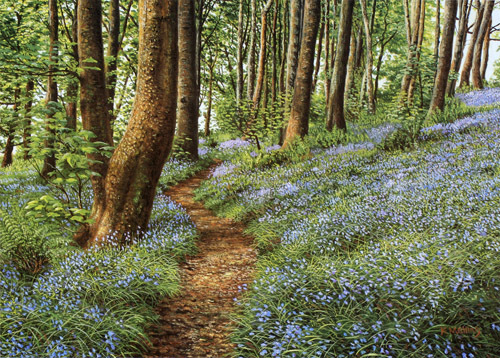 This wood between Clappersgate and Brathay spans quite a large area and is criss-crossed by a maze of footpaths. 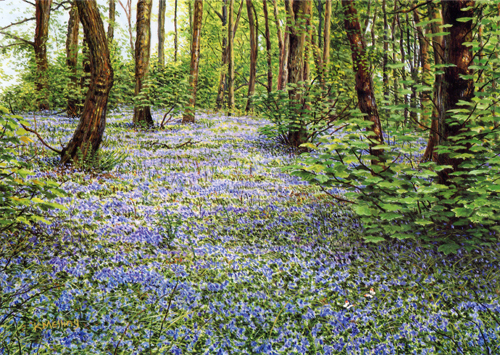 Maps are virtually useless here, but no-matter, there''s no hurry, the bluebells are the best I''ve ever seen. 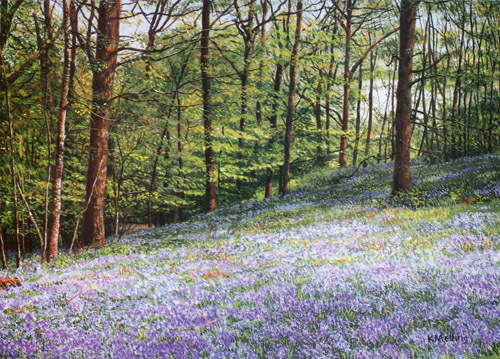 The subject of this painting could be almost any English bluebell wood, but it happens to be part of the ancient Spring Wood near Whalley in Lancashire. 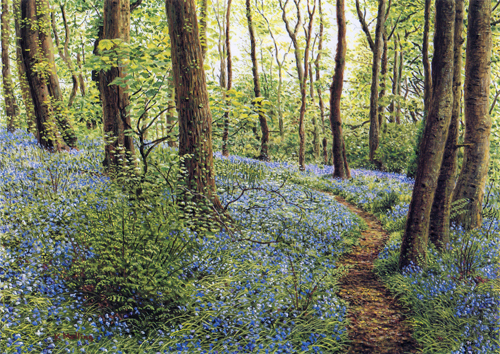 The beautiful countryside of Lancashire is well endowed with such woodlands and this one happens to be so easily accessible...described in former times as being one bowshot from Whalley Abbey, Spring Wood is situated just off the A671. Copy Clough is within the grounds of Towneley Hall, Burnley. There are many kinds of trees here, but I particularly like the sycamore, its star shaped leaves seem to float on the air. 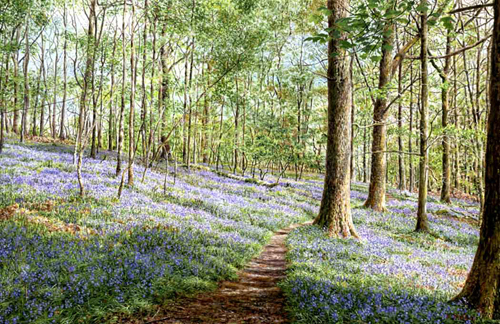 Old Orchard Wood, Lake District. The wood is near Spark Bridge, Cumbria, and looked as though it used to be an orchard. 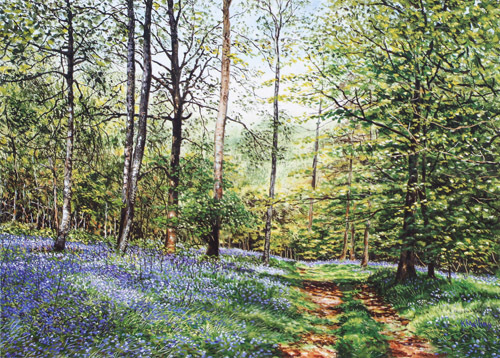 I sometimes title this painting Bluebells and Silver Birch. I've never found out what the wood is really called, it may not have a name.